Hampden Post Office, Trelawny, Jamaica. hq@evergladesfarms.com. Home of the Original Trelawny JB. Jamaica's quintessential producer of Heavy Pot Rums. Welcome to the Hampden Blogger, we hope that this feature will allow you to learn more about us and what we do. Your comments are important and allows us to better serve both our visitors, as well as our industry partners. Thank you. Pure Single Rums, Authentic Manufacturing and the "Guardians of Rum"
For rum lovers wanting that exquisite pure rum, having esters to affect the pleasure senses and having that extra smooth effect over palate, Hampden Single Rums delivers. A recollection of events in the early years when the Hussey Family bought Hampden Distillery and the progressive moves toward the recognition of pure rums. At Hampden, what is real rum? It is Rum that is pure, single, developed by artisans with the highest in fidelity as they remain faithful and loyal to the development of high quality, traditional rums, taken directly from stills without additives and enhancers to create a product of exquisite distinction, taste and affecting the senses in ways impossible by lesser creations. While many enter the rum arena today with fancy labels, names, marketing hype and claims, we need to remember that many enter to follow the money, the notoriety or to be caught up in the moment. What we need to recognized, however, is that as we search for what is truly authentic, we quickly discover that the road to authenticity leads only to a few locations on the planet. Many of these have been around for hundreds of years, and one, Hampden, has been making rum using the same methods for more than 250 years with many select wood fermenters more than a century old. Some years ago when the Hussey family bought Hampden, what was astonishing to find was that there were many rum buyers the world over that were still sending their orders to the distillery, although temporarily off-line at the time. 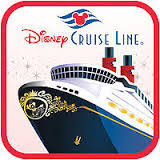 I remember a backlog of orders and found many competitors contacting buyers to capitalize on its rumored closure. Buyers refused to relinquish their orders with Hampden, this loyalty was so profound that at the time, we figured there could only be one solution which resulted in Andrew Hussey and myself visiting with each of our buyers in Europe to inform them personally that their orders would be met. There, they explained the long association with Hampden, that their grandfathers would spend summers at the estate and that they would send parts for the sugar factory to ensure continued production. They were thrilled that another old-line family with strong loyalties to tradition had taken control of the distillery. This was when Andrew and I became aware of the history, tradition and especially loyalty that rum buyers had for Hampden. One of these buyers traced their company’s trading in the West Indies back 300 years. These were buyers that knew rum, knew quality, knew authenticity and knew what it took to produce such rums. They were also convinced that they could get it nowhere else. In the universe of rums, Hampden stood supreme. We also came to discover that the buyers literally rushed to the still for the rum resulting in Hampden having little need to age rums. We later decided to utilize facilities of the old Sugar Factory to commence barreling and ageing of each of Hampdens special Marks. Once Hampden’s retail rums entered the market (some directly from the stills) they began an aggressive and continuous collection of medals throughout the world. At the time, I remember introducing Ms.Christelle Harris (Grand Daughter of Ruth & Laurie Hussey) at one of our Board meetings as the New Director of Marketing. She was pursuing a promising career in acting and dancing and resided in Los Angeles at the time. I encouraged her to commit to the challenge and she accepted, wow, we were all so excited. Christelle is an absolutely lovable, kind and caring individual and works constantly, powered by sheer passion. I had also mentioned in an earlier post where I featured her as the reason for much of Hampden's success. Since that time Christell has attended numerous shows, conventions, tastings etc. all across the USA and Europe and there she met with many rum lovers with a passion for authentic rums as well as other distillery owners making great single rums. 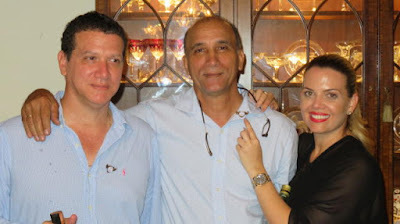 Subsequently, the “Guardians of Rum” movement was conceived during a visit of Luca Gargano of Velier and Richard Seale of Foursquare to Hampden Distillery where they met with Christelle Harris/Hussey Family in early 2016. You may ask, What is the Guardians of Rum? Promoting artisanal over industrial scale – something already inherent in the law of the EU for whisky and Brandy. Distinguishing traditional methods over modern (20th century) developments – the kind of changes forbidden in EU law for many other spirits but have occurred for better or worse in rum. Promoting transparent age statements over sleight of hand – something already required by law in the EU/USA but not enforced in rum. Promoting pure rum over doctored rum (added wine, flavourings etc) – something already required by EU law but poorly enforced. Arguing between countries about the ‘definition of rum’ – it is normal for spirits to have different definitions, e,g. American v Scotch Whisky – what is important is the law where it is sold and recognition of a GI where applicable. Demanding uniformity. The greatest diversity is found in the producers who adhere to all of the above principles. The Guardians of Rum issues an Insignia of membership which is not given, rather, it has to be earned. We are therefore very pleased to see this collaboration among some of the world’s foremost distillers, distributors and rum lovers to authenticate the manufacture of true and pure rums ensuring quality and heightening of that true taste experience. their “Guardians of Rum” Insignia from Christelle Harris. Hampden has a long history of providing employment and of supporting the various communities in Trelawny. I had mentioned in an earlier blog post that Hampden donated lands for the building of the Hampden Primary and Infant School as well as the Muschett High School (founded in 1969) in Wakefield, Trelawny. As you may also recall in earlier posts, both Hampden and Long Pond Sugar Estate are owned and operated by Everglades Farms Ltd. which is also involved in a number of community outreach programs in Clarks Town and surrounding districts. This commitment continues and recently we were asked to assist in the expansion of the Muschett High School (MHC) parking lot. Mr. Allan Milbourn of Everglades Farms spearheaded this effort and we are pleased that it was completed and is now in operation. 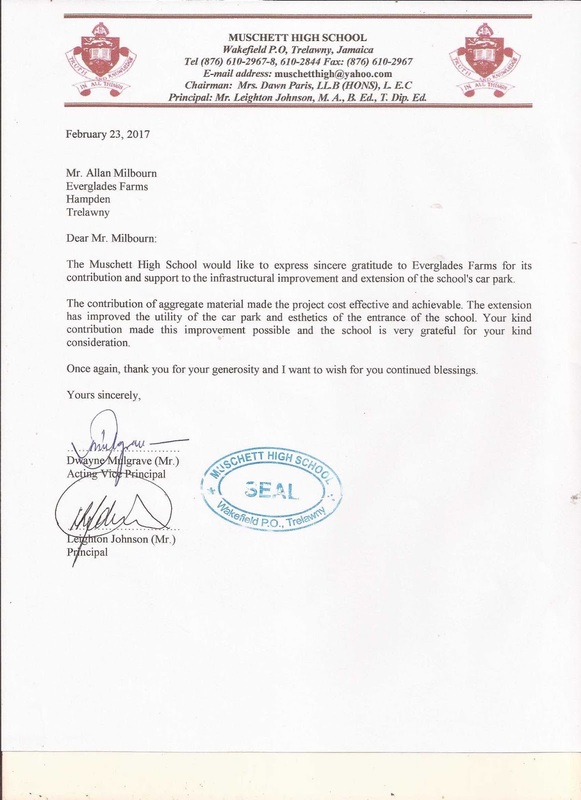 We would like to thank Mr. Leighton Johnson Principal (MHC) for his letter of gratitude. Like they did last, Hampden Primary and Infant School emerged as a shining example of excellence in the 2015 Trelawny Caribbean Library Quiz Competition when they once again copped the coveted title. 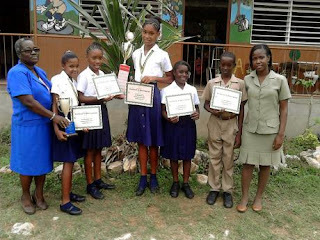 Led by captain Brianna Foster, the Hampden team, which also featured Jade Henry, Patrice Brown, Shamoya Black, and Delon Smith, proved too strong for the other competing schools in the annual competition, comfortably duplicating their 2014 effort. "It has been great! It is unexplainable! Every moment I have spent with this team has been just wonderful!" said 12-year-old Foster in relating her experience in this year's competition. "At first, I felt nervous because I knew everyone was depending on me to do my best. When we won, I felt elated! I was just so happy." 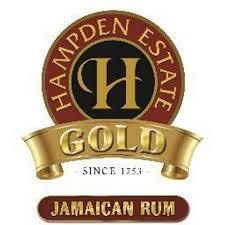 Hampden Estate was proud to bring a taste of authentic Jamaica yet again to the 6th German Rum Festival! The high ester Hampden rums, derived solely from copper pot stills, are legendary in the cane spirits community and have a very distinct flavor profile. Of all rum distilleries in Jamaica, the process of rum production at Hampden is the most unchanged from how it looked and operated hundreds of years ago and produces the highest ester rum of any Jamaican distillery, the direct result of its terroir, fermentation and careful batch distillation process. Many rum connoisseurs stopped by the booth to sample Rum Fire Velvet & Hampden Gold, or to sip a Rum Fire Velvet Daiquiri while talking to Marketing Director from Jamaica, Christelle Harris about Hampden’s legacy, unmistakable terroir and plans for the future. 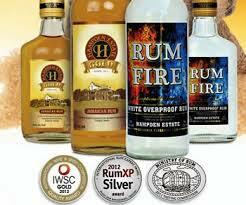 Rum Fire Velvet and Hampden Gold rums are pure single rums that are funky, vegetal and unmistakably Jamaican. Both rums are imported and distributed by Haromex in Germany. 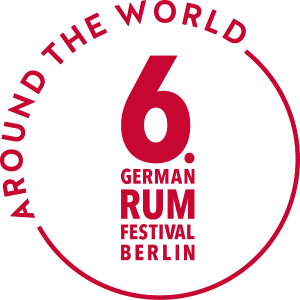 We thank the jurors of the German Rum Awards and their always impeccable great taste. 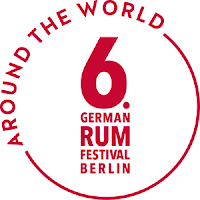 The International Jury of the GERMAN RUM AWARDS can be found by clicking on the following link. Recently, the Daily Gleaner reported the following. 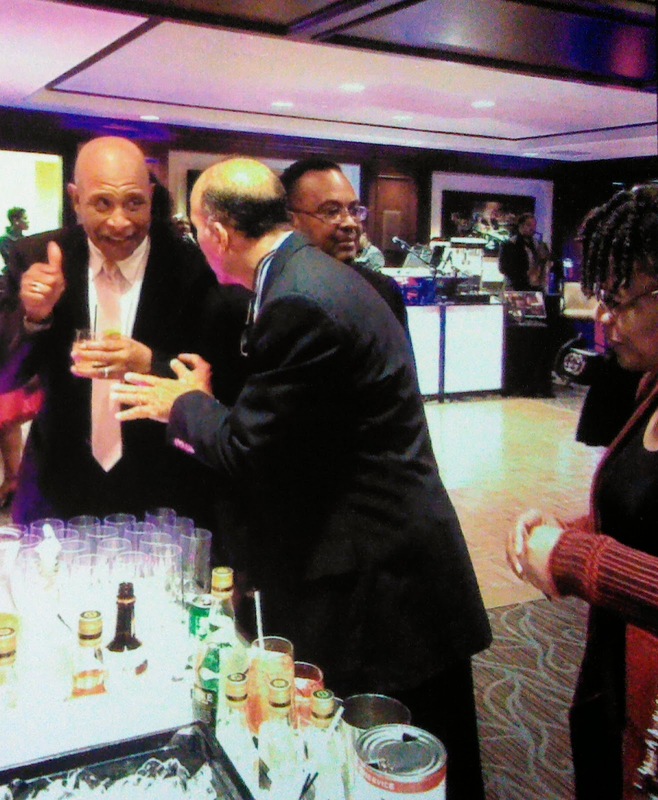 "Rum distiller and manufacturer Hampden Estate, which is based in Trelawny, made its owners, Everglades Farms Limited, and Jamaica proud recently by copping a total of four medals at the recent ShowRum Tasting Competition in Rome, Italy; and the 5th Annual Berlin Rum Festival in Germany. The estate, which was acquired in the 2010 government divestment by the Hussey family-owned Everglades Farms Limited, started their impressive medal haul at the ShowRum Tasting Competition by first winning the 'Best In Class' awards in the 'Pot Still & Blended Rum' category and top in the 'Overproof Rum' class for its Rum Fire Velvet. At the 5th Annual Berlin Rum Festival, the ever-popular Rum Fire walked away with third place in the 'Navy Strength/ Overproof Category', while Hampden Estate Gold took the runner-up spot in the Dark & Gold segment. 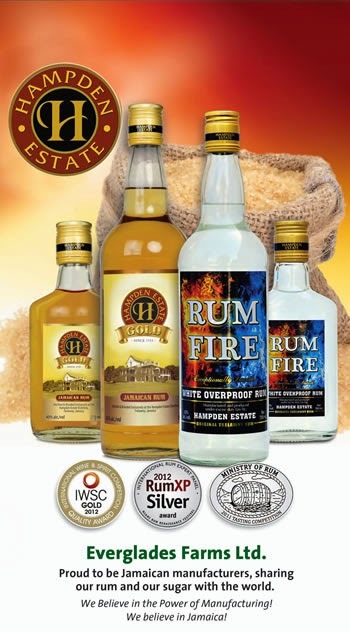 The four medals garnered by Hampden Estates take their tally to 15 medal since winning the first award in September 2011, when Rum Fire took the runner-up spot in the Ministry of Rums Tasting Competition held in San Francisco, California. Their medal count breaks down as follows: eight gold, four silver and one bronze. "We know that the rums are highly respected among the rum-consuming communities in Europe," said Christelle Harris, director of marketing for Hampden Estate. "The fans know and love the fact that Hampden is the only distillery in the world still making rum the way it was done in the 1700s." "Such indigenous quality cannot be replicated anywhere else in the world, and it is always rewarding to be acknowledged for that. It is great that our brands can be celebrated by professionals whose opinions are highly valued within the industry, "added Harris, in reference to Hampden's product being judged alongside a total of 40 spirits from all over the world. Trelawny is one of the most picturesque parishes in Jamaica and has remained predominantly unspoilt for the past 250 years. Hampden Estate sits within the famed Queen of Spain Valley, so named by the Spaniards when they were captivated by it's vast natural beauty. 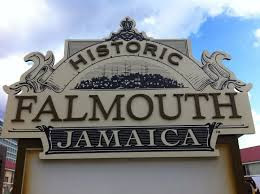 Falmouth, the capital of Trelawny is a fine example of an authentic British Colonial Township and is a United Nations World Heritage Site. Today, Falmouth is one of the largest and finest port destination in the Caribbean and is designed to dock the world's largest cruise ships. Hampden Estate, one of the oldest and most authentic estates in Trelawny is located within 40 minutes of the pier. With these attributes it was a logical choice for Disney to team with Hampden to provide one of the worlds most authentic rum tour experience. 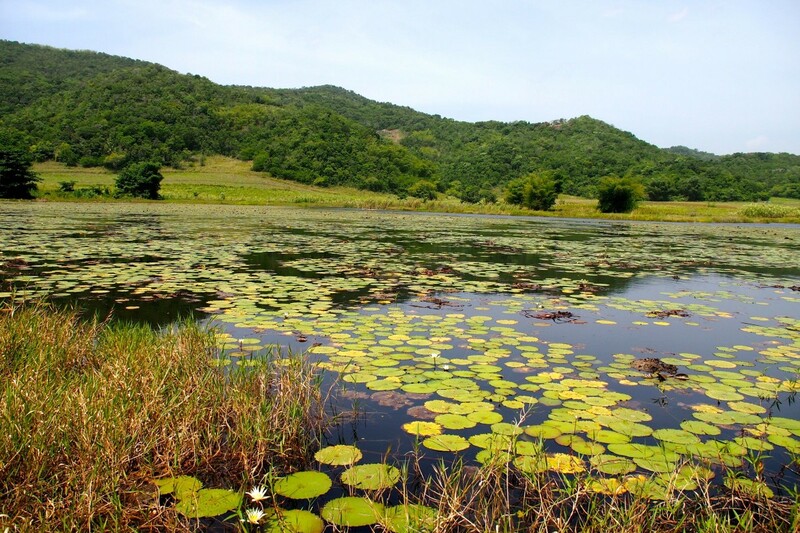 Meet your guide and board coaster bus for an approximately 35-minute drive through the rural Jamaican countryside, passing sugarcane fields on your way to Hampden Estate. Jamaica, originally a sugar plantation and rum store. As you approach Hampden Estate you will appreciate why the early Scottish settlers ventured here to seek their fortunes in sugar and rum. Arrive at the estate to a welcome rum punch beverage at the visitor's center, where you will receive an introduction, learn the rich history of the estate and process of rum making. Enjoy an approximate 60-minute guided tour of the grounds, including the distillery, where rum continues to be made very much like it was 260 years ago. Return to the visitors center for approximately 60-minutes for rum samples, snacks and souvenir shopping before the approximately 35-minute drive back to the pier. 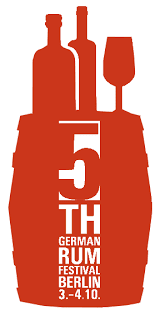 "The whole may be greater than the sum of its parts, as Aristotle once opined, but I still say you need quality parts to produce the finest things. A Ferrari just wouldn’t be a Ferrari with a four-cylinder Honda engine under the hood, you know? In much the same way, Rum Fire Overproof Rum could never be as fantastic and authentically Jamaican as it is without the natural elements that inhabit the Hampden Estete Distillery where it’s made in Trelawny. 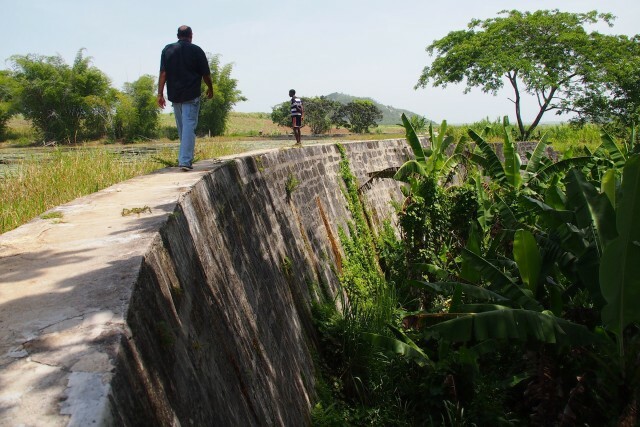 Among the oldest and most revered estates in Jamaica, Hampden dates all the way back to 1753. Sugar was king then, but today the Estate chiefly builds upon its strong rum heritage, producing the world’s most eagerly sought after heavy pot still rums. The great folks at Hampden Estate maintain the authenticity of yesteryear in their current line up of rums the easy way: they simply follow the same old rum-making recipes and techniques that built the Estate’s legend over the centuries. They also help Mother Nature do her thing, promoting sustainability in all aspects of their operations in order to maintain the unique environmental conditions that give rise to all the quality parts that go into producing their fine rums. These quality parts include everything from the prized Hampden Estate sugar cane and various tropical fruits (all of it still harvested by hand), to the Estate’s proprietary yeast cultures, and even all the water pictured above. Walking here along the wall that holds back all this special water, watching as fish meander beneath the lilies and dragonflies dart to and fro, it’s well apparent that this is one place where rum-maker and Mother Nature are coexisting beautifully. We want to thank Steve for this wonderful article as it represent so much of what we do and the authenticity of Hampden Rums. Founded in 1987, The City Club of Washington is located in the heart of the business and theater district. The City Club is where a diverse, dynamic and forward looking membership builds upon the heritage and principles of its Founding Board of Governors through business, social and community activities. Recently, The City Club of Washington, D.C. held its Annual Pink Tie Soiree Charity in October, which included a rum tasting featuring Hampden Estate's rums, Rum Fire and Hampden Gold...these premium rums, in various blends and cocktails, were introduced to a new, yet initiated group of club members and their guests, renowned for their knowledge of the rums of the world. The charity classic event also raised needed funding to support the early detection and treatment of breast cancer of which Ms. Shondia McFadden-Soberi, a cancer survivor was the featured guest speaker. What the group experienced was more than just your typical spirits tasting – it was the introduction and exposure to the history of rums of Jamaica as well as an appreciation, as told through a narrative by Outram Hussey of Hampden Estate, that placed into context the history surrounding the reintroduction of one of Jamaica's oldest historic estates with its new modern technologies and ecological practices that not only have produced a new wonderfully rich rum, but also the contribution of new sustainable industry practices to the Parish of Trelawny, Jamaica . Hampden Estate is a subsidiary of Everglades Farms Ltd that operates the Long Pond Sugar Factory and have invested significantly in the rebuilding of the economic base of the region. Hampden rums represent a revival in the longstanding traditions of rum making and represent the continuing of the culture of authentic pot rum fermentation and maturation. From Hampden Estate, this wonderful white overproof rum, Rum Fire, made from fermented sugarcane juice and molasses, is unique in flavor and style. Its hint of woodiness adds to the well balance, clean taste. Rum Fire’s aromatic flavor adds a “touch of zing” to a refreshing fruit drink or punch. The Hampden Distillery, as part of its sustainable practices, is the only distillery in Jamaica that recycle’s its Dunder, (a byproduct of the distillation process) back into the making of its rums. This along with other natural processes, is one of the reasons that Hampden Estates Rum Fire and Hampden Gold are international award winning premium rums! In short, an evening of history, the culture of rum, the taste of this new rum spirit, all in a lively upbeat Jamaican vibe!!! !